OK -- She is NOT a German Shepherd! 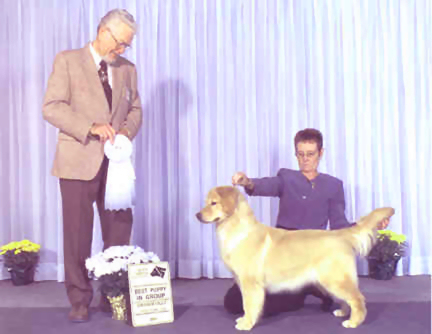 In fact, she is a top-quality Golden Retriever. We proudly co-own her with Judy Kaldahl & Sharon Wilkins. 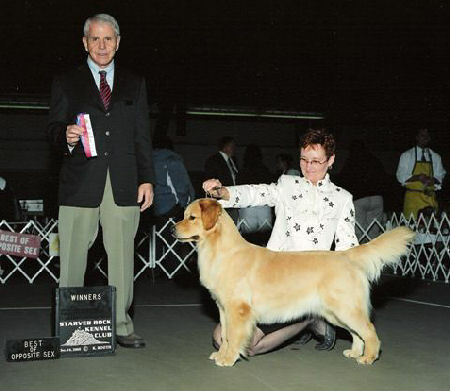 After making a splash in the puppy classes while learning the show game, Loreal is now waiting to mature. Watch for her, because she IS worth it!